Spending quality time together is healthy for not only your relationship, but the family as a whole. With unique, thoughtfully planned amenities at Headwaters, it’s easy to plan an entire weekend together and never have to leave the community. 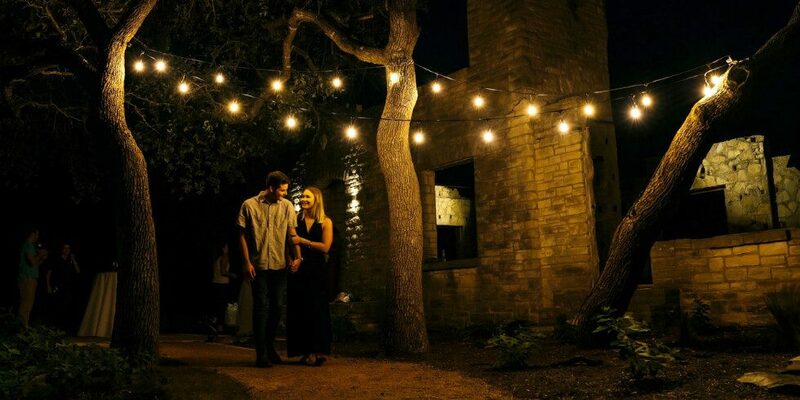 Have a romantic evening stargazing at the amphitheater; attend a fun workout class or craft workshop put on by our Lifestyle Director; or just take a stroll hand-in-hand along the trails to reconnect after a long week. Located just down the road from Headwaters, Deep Eddy Vodka Distillery is the perfect place to spend a sunny Saturday afternoon. After taking a tour of the facilities, stop by the Tasting Room to try out award-winning vodkas and specialty cocktails, or even indulge in a tasting flight. They often have events going on, like backyard BBQs and bingo nights, so make sure to check their Facebook page to see what’s going on. Spend a weekend morning touring the orchard and mill at Texas Hill Country Olive Company, learning about the history of olive oil and how it’s made today. End the tour with a complimentary tasting, where you can savor every product offered before deciding to take any home with you. Before you go, you’ll want to stop by the bistro for a fresh and tasty meal, complete with a selection of Texas wines. Along Fitzhugh Road, Jester King Brewery, Last Stand Brewing Company and Argus Cidery are all located within walking distance of each other. Make it a group date and spend the day learning about how beer and cider are made, trying out all of the different brews, and enjoying the weather and gorgeous views. Remember when you witnessed your first magic trick and couldn’t believe what you were seeing? Relive that feeling of awe at the Magics Theatre and Museum. With two stage shows each week, including a BYOB, adults-only show, you’ll both be chatting for days about how the magician pulled off their tricks. Enjoy a classic dinner-and-movie pairing at Sky Cinema, featuring delicious meals made with locally sourced ingredients. They even have a beer garden with live music, so after the movie you can relax with a drink and chat with your significant other as you enjoy the ambiance. Afterward, spend the rest of the evening strolling through Belterra Village, Dripping Springs’ newest shopping and entertainment center. Besides being conveniently located near endless entertainment opportunities, Headwaters’ location also provides quick commutes to employment hubs, shopping centers and top-performing schools. To learn more about what Headwaters has to offer, join our Interest List or schedule a tour.